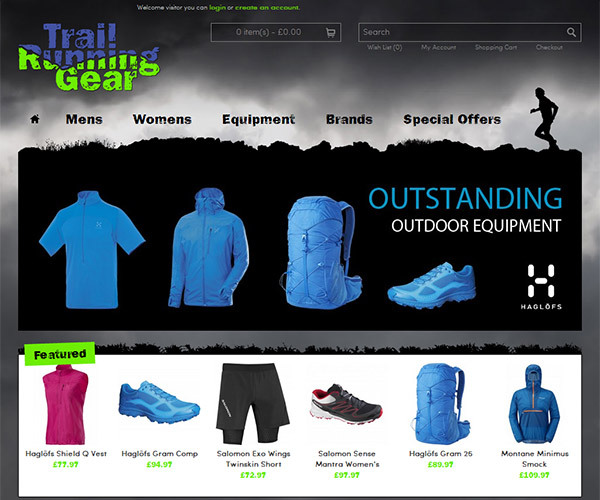 Trail Running Gear is a new sister site to Swaledale Outdoors in Reeth, selling specialist equipment & clothing for trail running. We created several concepts for a logo refining the chosen idea to be the final design. We then worked on a look for the online store. The agreed concept was coded into a template for the eCommerce software which we installed on the clients server and configured appropriately. Additional modules were installed including a blogging module that tied in with the products. This was also styled to fit in with the store design. Finally payment options, including Barclaycards new ePDQ, were integrated. Following client feedback the design underwent some revisions during development to make sure they had a site they were happy with.